The most common argument VAs have for not writing a regular blog post: I don’t know what to write! You’ve got your Virtual Assistant website set up and you even have a blog! It’s exciting but that excitement wears off really quickly for many VAs when they realize they have no idea what to write about. Sometimes the first few posts come easily, but then the shine wears off and it becomes difficult to come up with ideas to post. At least this is what Virtual Assistants tell me. Who wants to read my blog? How do I come up with new ideas all the time? 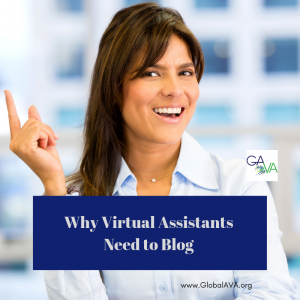 Why is blogging so hard for Virtual Assistants? The main reason you get stuck is that you don’t have a plan. The second reason you get stuck is that you really don’t know who you are writing to, or what you should be writing about. Take a look at your blog. 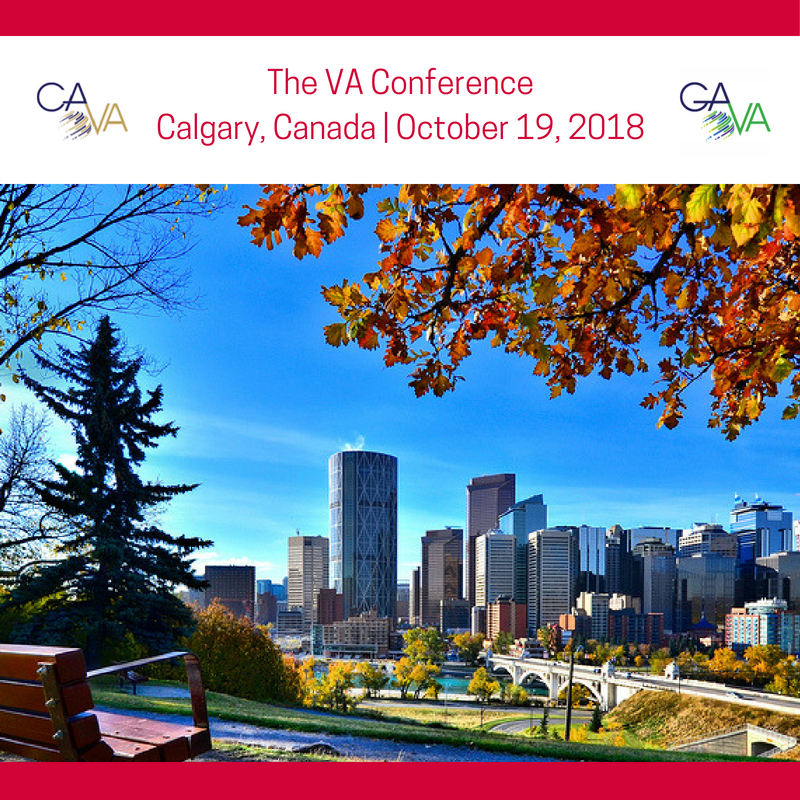 Do you write about being a VA? That’s not what your audience wants to read about. Unless you are helping others become VAs, that is. But if you are providing services to clients for anything – that’s what you should be writing about. VA need to have a blog. And there are all kinds of things you can write about on it. If you provide client care services, you should be writing about things that are related to that service. For instance, write about things like how to build long-term relationships with clients, how to reward customer loyalty, tips to onboard clients more easily, and so on. If you provide WordPress services, write about everything WordPress-related. For instance, the latest plugins, new or improved themes, and tips to help you maintain your website (or how your VA can maintain it for you). If you provide bookkeeping services, write about tracking expenses, filing and organizing tips and share info about other paperwork and admin resources that will help your clients do a better job in this area. Your blog topics have to be what your clients need to read about. The blog posts should be written from your perspective, as the Virtual Assistant who can help them with those services or tasks. You probably offer more than one service, so you can build your content from there. (Still stuck? Google your main service offering with the word ‘blogs’ and you’ll surely come up with some great examples you can model your content after). The idea is that your content is for your clients and your potential clients. When you connect with someone in a networking situation, they will often check you out online. So your blog, if you have one, is an important place to showcase your expertise. Come up with 3 or 4 main topics that you will write about – and then you still need to have a plan. How often will you write? Once a week helps you to build a really good routine and habit. Less than that, and you might find yourself taking longer to do it or skipping it all together. What kinds of posts will you write? You can write a variety of posts – conversational/advice like many of mine are, lists and how-tos, reviews of services you use, and more. Change it up and you will be keeping your blog fresh and interesting every time. When will you write? Schedule time every week to do your writing and you will get a lot more done. I belong to a writing support group – and it’s been great for me to be able to schedule time in my calendar to write ‘live’ with the help and support of our group facilitator, Kathy Colaiacovo. We come to the group with our article idea, get feedback on how to make it more appealing and SEO and keyword friendly, and then get (at least) the first draft done so we can finish it up and post it. Learning to develop good writing habits, and writing regularly helps you to get better at it. When you nail your main topic areas it also makes it easy to find things to write about, and your audience will love it. Start now. Pick four main topics to write about on your blog. Make sure they showcase your VA expertise, and will be interesting to your audience and potential clients. It’s easier than you think! For some more ideas on what to write on your blog, check out this article: Five Ways to Find Great Blog Post Topics.